I've never been a huge popcorn guy. 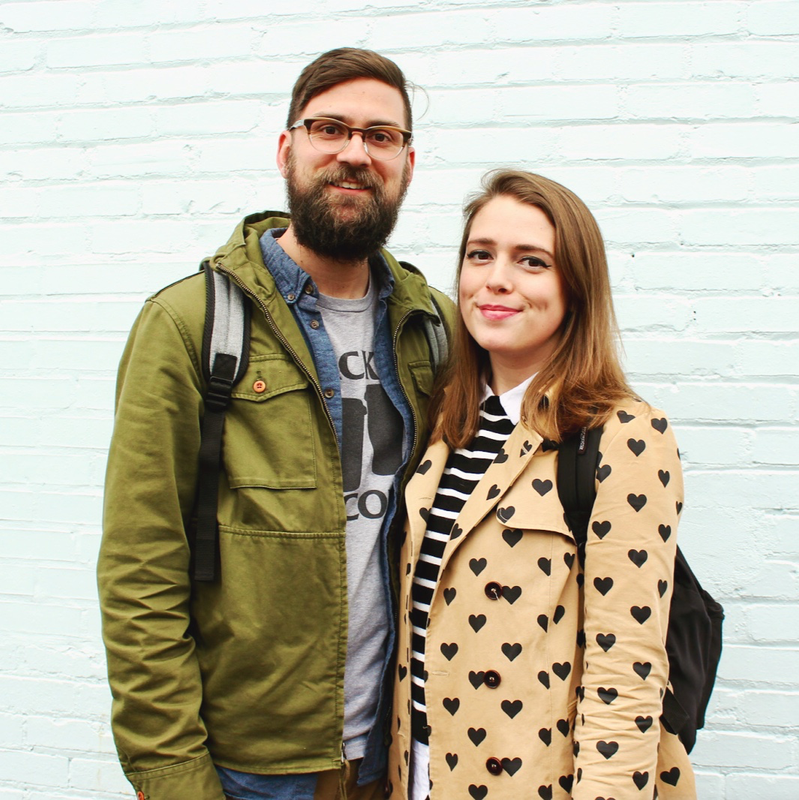 Sarah is literally popcorn obsessed, so I've been trying to meet her halfway. Generally speaking, once I start eating popcorn, I'm into it - I won't stop and I won't complain. 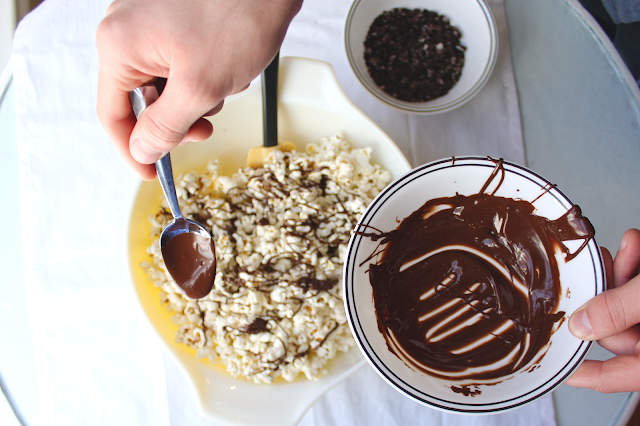 But cover that popcorn in chocolate and Oreos? I'll be throwing elbows and pushing children over to get to the bowl. 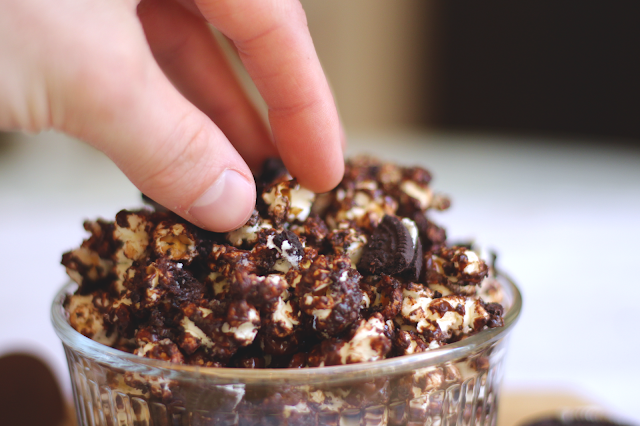 This stuff is addicting, delicious, and luckily very easy to make! - Crush Oreos by hand in a large Ziplock bag, or my personal favorite: a slap chop! Leave some large chunks. Set aside. 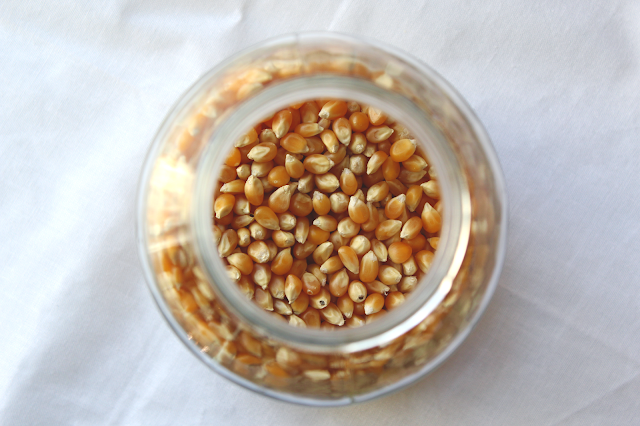 - Add your popcorn kernels to a large microwave safe bowl and cover with a microwave safe plate. Pop for about 5 minutes. All microwaves are different, so listen for the popping of your corn to stop. - Carefully remove bowl from the microwave (it will be very hot!) Once cooled, separate out unpopped kernels. 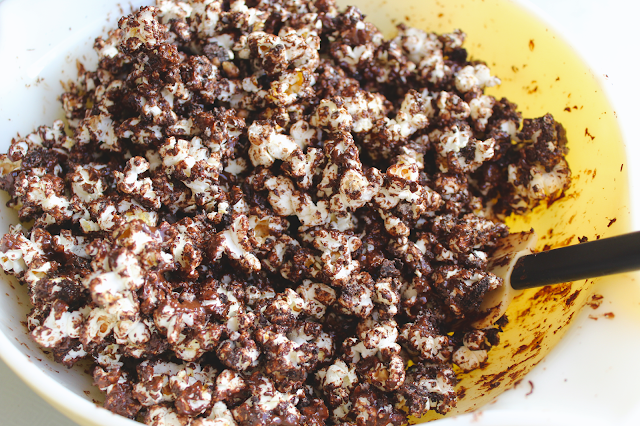 - In a large bowl, combine your popcorn, melted chocolate, and crushed Oreos. Carefully stir until well coated. - Let cool and enjoy! Or, enjoy warm! Much of this didn't even make it out of the bowl we made it in. Obviously, Sarah and I pop our own popcorn in the microwave, but you don't need to do it this way. By all means, get your paws on some popcorn anyway you can. Do it on the stovetop, use a microwavable bag, an air popper, buy it ready to eat, whatever! 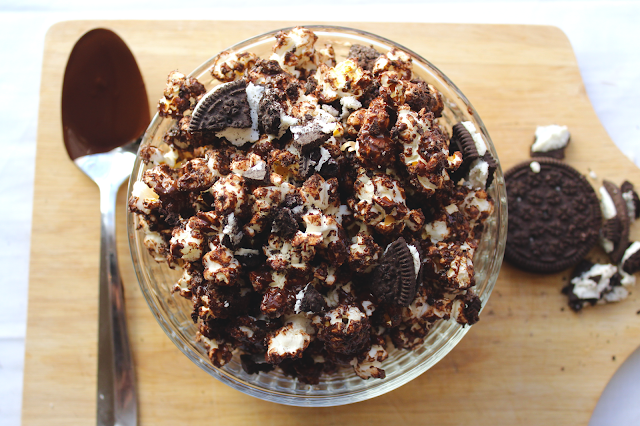 Also, why stop at chocolate and Oreos? You can customize this delicious dish to be as awesome as you want - add peanuts, candy, pretzels, or anything else you can dream up! I really hope you get a chance to make some of this on your own, and if you come up with some mind-blowing combination of toppings, be sure to share it with us! What? 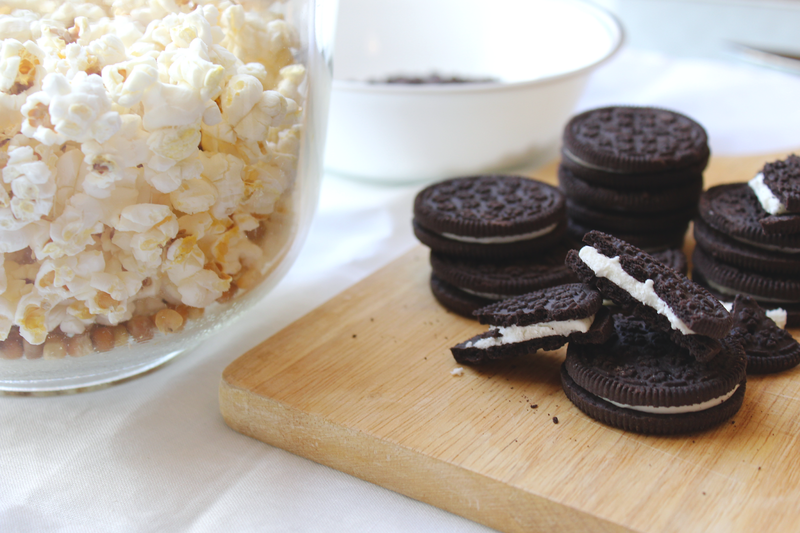 Oreo and popcorn? I need to try this! I'm a big (HUGE) fan of both!